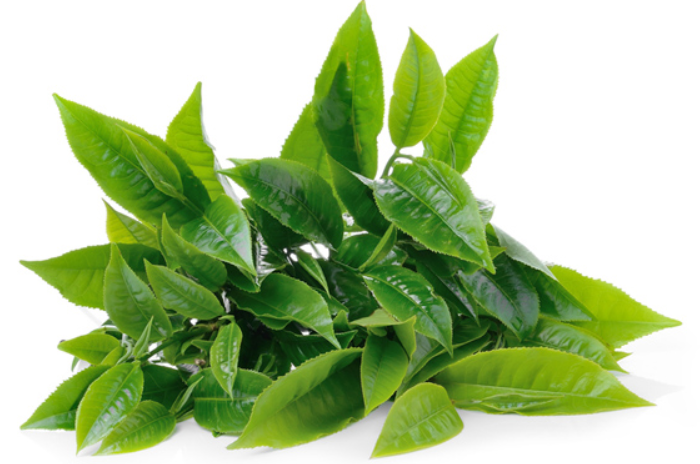 GREEN TEA (Camilia Sinensis) While the exact origins of tea is lost to history, we do know that genetic studies tell us that the first tea trees originated near North Burma. The first written evidence of making Asian tea dates back to a Chinese work from 59 B.C! Tea is the most widely consumed beverage in the world, even beating out coffee and alcohol. Although tea first began as a medicinal drink, it slowly evolved into a recreational beverage. Priests first carried tea from China to Europe during the 16th century. Tea drinking grew in England during the 1600's, and by the 1800's had become a national passion. The British introduced tea growing plantations in India in order to circumvent the Chinese monopoly. As the British empire grew throughout the world, so did the worldwide love for tea consumption. Numerous studies have shown tea polyphenols to have protective effects against free radicals, cardiovascular damage, some cancers, infections and environmental toxins. The medicinal properties of tea are attributed to flavonoid phytochemicals called polyphenols. The polyphenols found in tea mainly belong to the subtype called catechins. Green tea has more catechins than black tea (about 25% vs 4%). SUN PROTECTION AND SKIN CANCER: There have many studies of skin benefits of green tea, including studies showing protection from skin cancer, with credible demonstration that topical green tea formulations reduce sun damage. Green tea appears to exert sun damage protection by quenching free radicals and reducing inflammation rather than by blocking UV rays. This is a result of its high concentration of tannic acid, theobromine, and polyphenols – all of which ease inflammation and repair sun-damaged skin. Therefore, green tea may synergistically enhance sun protection when used in addition to a sunscreen. ROSACEA & ACNE: Green tea contains catechins, which are anti-bacterial agents that suppress acne-causing bacteria and help regulate hormonal imbalances. A recent study showed benefits of 2% polyphenone (via a particular type of green tea extract) in papulopustular rosacea. In particular, a significant reduction in inflammatory lesion was reported compared to placebo. People with skin conditions such as psoriasis, rosacea, and dandruff, which are caused by inflammation, may benefit the most. Green tea contains catechins, which are anti-bacterial agents that suppress acne-causing bacteria and help regulate hormonal imbalances. It also possesses potent anti-inflammatory properties that help reduce the redness and inflammation brought about by acne blemishes, thereby helping them heal without redness and scarring. ANTI-AGING: What about wrinkles, skin sag and other signs of aging? Can green tea help? In a 2005 study, forty women with moderate photoaging were randomized to either a combination regimen of 10% green tea cream or a placebo regimen for 8 weeks. Skin biopsies showed significant improvement in the elastic tissue content of treated specimens. There is preliminary evidence that green tea may inhibit matrix metalloproteinases (MMP), the enzymes whose excessive activity contributes to age-related degradation of the skin matrix (aka Collagen).